The store, as a physical meeting point with the final customer, has a very important objective: to satisfy the buyer. To achieve this goal, in addition to creating an appropriate environment, it is necessary to have good organization regarding everything related with stocking. Thus, if at any given time a customer does not have a garment in its size, the store should be able to offer a quick and accurate solution, either by putting the size on order and asking them to return in a short time or by referring them to another store. Otherwise, you not only run the risk of losing a sale, but risk deteriorating the image of the store or even the entire brand. To achieve the necessary control, solutions are needed to allow managers to see what happens in their stores, and for sellers to act in an optimal way: to be able to query the stocks of the store or other stores at any moment, to request stock replenishments online, to work in mobility or to be able to interact with the online store; as examples. Some of these improvements can be achieved with software solutions that automate or simplify many of the usual tasks in stores, or that make others possible thanks to the integration with corporate ERP. Others, however, require the use of very advanced but equally affordable technologies, especially in terms of cost-benefit, such as RFID tags; which allow the garments to be located continually with a multitude of applications in the case of stores. In addition to the usual functions of a POS (such as payment, sales records, inquiries, and cash closure), the store staff can view the stock available by size in the warehouse, request replenishments of merchandise, consult customer data, manage the garment repair service, and more. The application allows stores to consult via a virtual catalogue the collections of the brands with which they work and order online, either a new or repeat order, from the store itself. This includes photos of the garments, videos, models, looks, colour charts, sizes, prices, and more. All the information registered in the POS of the store is integrated with the corporate ERP, thereby allowing the ERP access to continually updated data in real time about physical sales, online orders, invoices, stocks, and more. This RFID system located on the labels of the garments allows them to always be located. 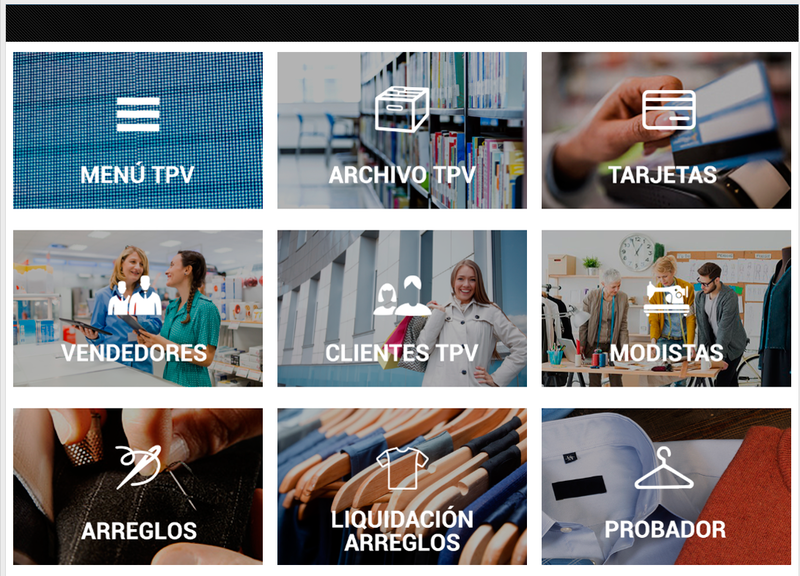 The applications are many and varied: register sales without bar codes, analyse the contents of boxes without opening them, perform inventory and automatic replenishments, avoid theft and fraud, or analyse the behaviour of customers in the store and their interaction with the garments, as examples. Choose a solution that resolves the principle needs of the stores of the fashion sector, which is already implemented in other companies similar to yours and that allows you to move forward without needing to innovate technologically. A solution designed for the long term that is highly configurable, that allows you to continually prioritize what is important, and that integrates easily with your other applications. We provide you with the experience, industry knowledge, technology and human resources necessary to develop the solution you need to be more agile and more effective in the critical aspects of your business. Contact us and request a meeting with our technicians to study your company’s case.